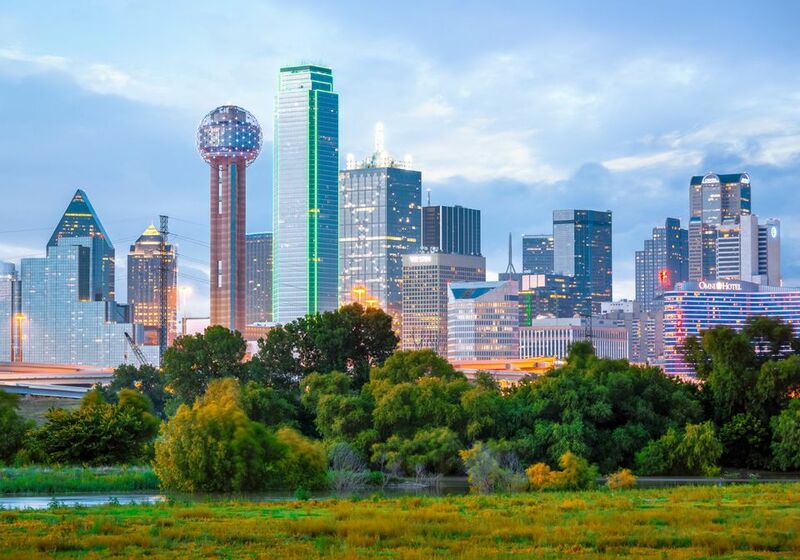 Dallas offers a nice array of kid-friendly getaways within a day's drive, with possibilities stretching from New Mexico to Louisiana. These popular suggestions can all be reached in six hours or less, based on the estimated drive time found online. Home of the YouTube water-slide sensation known as the Royal Flush, Waco offers a lot of fun for families. Other highlights include the city's Riverwalk, a seven-mile walkway that runs along both sides the Brazos River, the Cameron Park Zoo, and Mayborn Museum Complex. There is plenty of fun to be had for families in Austin, no matter their interests. For starters, there are many parks, swimming holes, and Lady Bird Lake for families to explore. A surefire stop is the Austin Zoo and Animal Sanctuary, where you can see both exotic species and rescued animals of all kinds. If your kids like science and nature, head to the Austin Nature & Science Center, which has a "dino pit" where kids can dig up reproductions of actual dinosaur fossils found in central Texas. Another sure bet is The Thinkery, an interactive science museum with a gazillion fun hands-on exhibits. Looking for a fun and active getaway? Oklahoma City recently expanded its Olympic training site to create a massive aquatic adventure mecca for families. And, with its top-notch zoo and history center, OKC offers families plenty to do and see. Since a farmer discovered the first diamond there in 1906, this field south of Murfreesboro has produced North America’s largest diamond and more than 70,000 others. Now preserved as Crater of Diamonds State Park, the world’s only site where, for a small fee, anyone can dig for diamonds and keep what they find. At the visitor center, you'll find a display of diamonds in the rough and much information on the site’s history and geology. The park also has a campground, hiking trail, a picnic and play area, and Diamond Springs Water Park. There are hotel pools and there are hotel water parks. At the JW Marriott San Antonio Hill Country Resort & Spa, the River Bluff Water Experience definitely qualifies as the latter, with a 650-foot rapid-river ride and a 1,100-foot lazy river, 275-foot water tower tube slides, zero-entry children’s pool splash pool, an adult pool, whirlpools, and lots of interactive water features. With five theme parks within easy reach of downtown, San Antonio offers an adrenaline-filled dimension to a city break. The city's jewel is RiverWalk, a rambling pedestrian walkway lined with restaurants and shops. And it goes without saying that you'll want to visit the Alamo. Keeping cool in the Texas heat is no problem whatsoever at the Hyatt Regency Hill Country Resort & Spa, thanks to the five-acre water park that includes a 950-foot lazy river. There's also a 22-foot waterslide, Flowrider surfing simulator, sandy beach, and four pools, including a zero-depth entry pool for little swimmers. Galveston, a pretty, prosperous town on a barrier island in the Gulf of Mexico, is known for its beautiful historic district, amazing fried shrimp, beaches (including seven miles of new beach), and myriad family fun attractions. French Louisiana is known as "Acadiana," or Cajun Country, a region with its own fascinating history, fab music, and delicious dishes. Highlights for families include tours of the Atchafalaya Swamp and visits to the Cajun heritage parks in Vermilion and Lafayette.